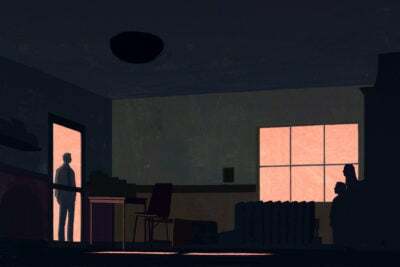 Malheur County, Oregon was stunned by terrible violence in recent years. In 2016 a man named Anthony Montwheeler was released from the state hospital, nearly two decades after being found “guilty except for insanity” for kidnapping his ex-wife and child. 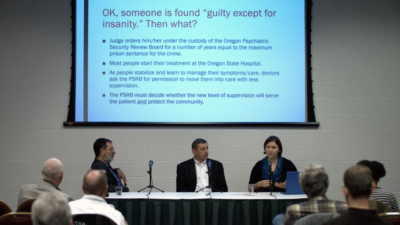 The Oregon Psychiatric Security Review Board (PSRB) accepted his claim that he had faked his mental illness and therefore could no longer be held in state custody. Less than a month after his release, prosecutors allege, Montwheeler murdered his ex-wife and killed a motorist in a car crash. A judge ruled he was not competent to stand trial for these new charges and ordered him returned to the state hospital for treatment. The incident prompted the Malheur Enterprise to take a closer look at Oregon’s policies and laws relating to people charged with serious crimes who were found “guilty except for insanity,” then released from the state psychiatric hospital or supervised community programs. 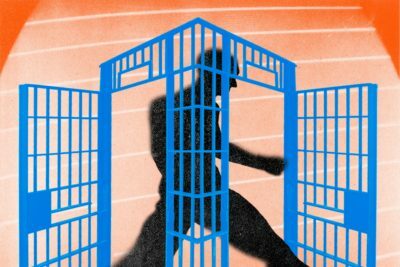 With funding and editorial support from ProPublica as part of the ProPublica Local Reporting Network, the newspaper recently uncovered that, of the people deemed legally insane in felony cases and then freed over the past 10 years, at least a third have been charged with new crimes. “Mental health intersects with public safety in ways that affect all of us in this community,” said Les Zaitz, publisher of the Malheur Enterprise, opening up a local forum last week at Ontario, Oregon’s Four Rivers Cultural Center. At the forum, Enterprise reporter Jayme Fraser presented her findings on some of the ways that these issues intersect to concerned community members and local officials, including Ontario Mayor Ron Verini, Ontario Mayor-Elect Riley Hill, Ontario City Councilors Dan Capron and Norm Crume, Malheur County District Attorney Dave Goldthorpe and Ontario Police Chief Cal Kunz. Fraser and Zaitz also took questions and listened to ideas for ways to potentially reform the system to better protect public safety while also protecting the rights of people with mental illness. Oregon is also one of five states that caps how long the state may supervise people, with most freed from supervision because of this time cap. Within three years, people freed by the PSRB were charged with new felonies more often than people freed from prison terms, Fraser also found. Family members were most often victims of violent crimes like serious assault and murder. In response to an audience question about how many defendants coming through the courts are looked at for mental illness, District Attorney Goldthorpe estimated that, more than 60 percent of the time, some element of mental illness is brought up by either the defense attorney or the client. While no state legislators attended the Ontario event, the Malheur Enterprise’s report has made waves in the statehouse. Key lawmakers have said they plan to rewrite the state’s policies, including reforming Oregon’s time cap requiring the end of state oversight the moment a criminally insane person would have completed the maximum prison sentence for the crime, in order to have doctors conclude that people can live on their own without posing a danger to themselves or others. For more coverage, read ProPublica’s previous reporting with the Malheur Enterprise.